there was music in the cafés at night and revolution in the air. Not much to report, other than the fact that I’m working my life away and pulling myself through by thinking frequently of the handful of things I have to look forward to [and snatching a sideways fashion-week-glance whenever I can]. Once this peculiar time of my life has subsided, I’m hoping I’ll be able to reward myself with something ludicrous. 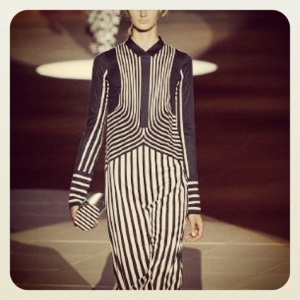 Speaking of which: Marc Jacobs SS13? Oh but to dream. It’s as if he read my mind. → you wear those shoes and i will wear that dress.